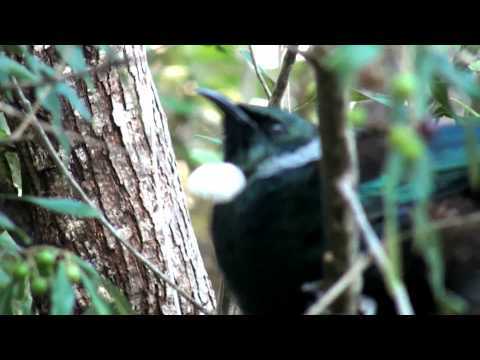 Tūī are common throughout New Zealand in forests, towns and on off-shore islands. 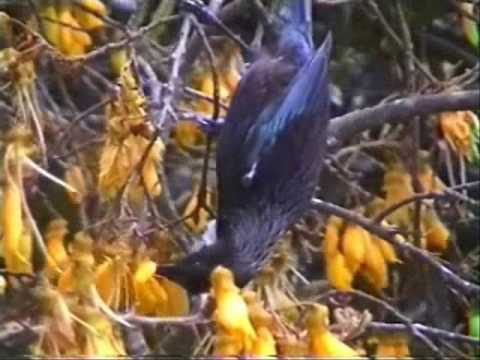 They are adaptable and are found not only in native forests, bush reserves and bush remnants but also in suburban areas, particularly in winter if there is a flowering gum about. These attractive birds can often be heard singing their beautiful melodies long before they are spotted. If you are fortunate to glimpse one you will recognise them by their distinctive white tuft under their throat, which contrasts dramatically with the metallic blue-green sheen to their underlying black colour.